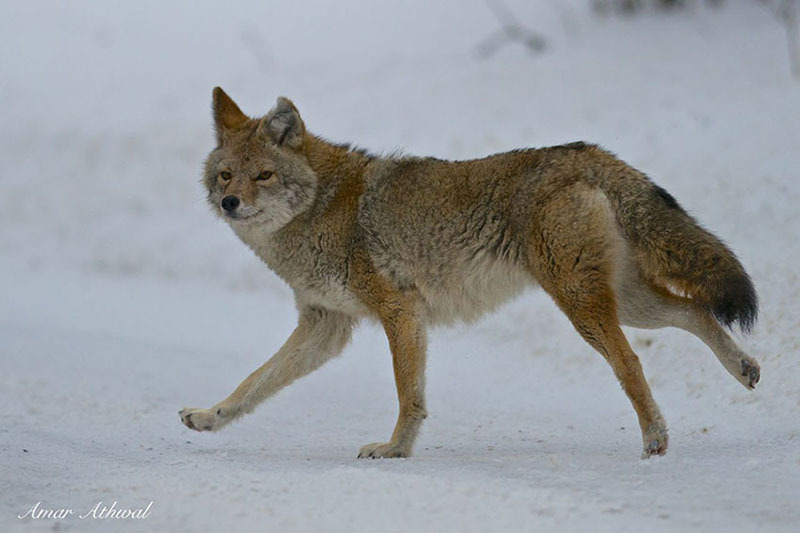 This coyote was careful crossing the small road. It waited until it was safe, looked toward the incoming traffic and then quickly crossed when it was safe to do so. Now why can't all wildlife do that.